I've been on a mini-hiatus. I've missed my visits here. A historic day for sure. 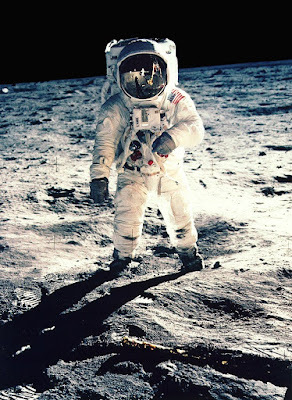 I was a yongster living at Sembach AFB Germany when they landed on the moon. It was very early in the morning, but I watched it. Yes, an historic day! And you know, I celebrate inspiration on Mondays and this post was inspirational to me....It really was!! thank you!!! What a wonderful post! Not too many remember this day in history, so many thanks for sharing! I am in love with space travel/exploration as well. I planned both of my vacations in 2006 to watch Space Shuttle Atlantis and Discovery go up! LOL! I love the space program and wanted to see those beauties take off before they shut the program down. I cannot imagine how amazing it must have been!!! If I really think about it I am just amazed it could be done! Glad you stopped by :) It certainly was a great day for humanity. How cool :) I don't remember it because I was a little one, but I love just sitting back and admiring what it took to get there. Thanks for sharing your memories. Glad you liked my post :) Oh I would love to see the Space Shuttle go up before they end the program. Lucky you! :) I know it must have been great. I'm doing fine and I hope you are well too.